Economy of the state is the eighth biggest in the country. During the period 1994 and 2003, the economy of the state grew at a rate of around 6%. Tourism, industry, agriculture, mining mainly contributes for the economy of the state. Agriculture accounts for almost 22.5% of the economy of the state. Minerals like emerald, garnet, gypsum, silver, asbestos, feldspar, mica, rock phosphate, red stone and others are available in the state. Textiles, sugar, cement, glass, sodium, pesticides, insecticides, etc. are some of the major industries in Rajasthan. Some major chemical manufacturing units are there in the state. The handicrafts that are made in the state are famous worldwide. Major crops that are produced here are maize, wheat, cotton, oil seeds, tobacco, sugarcane, bajra, jowar, etc. Tourism is one of the major sources of income for the state. The agriculture is done here through tanks and wells and the sector gave a major boost to the state’s economy. The state has too many natural beauties and so the income from the tourism sector is too large. Some of the most preferred tourist destinations lies at Udaipur, Jodhpur, Bikaner and Jaisalmer. These places attract both the domestic and foreign tourists. 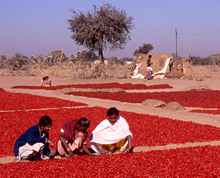 The sector accounts for 8 to 15 percent of the domestic product of Rajasthan. Many historic places in the state were converted into major tourist spots. As evident, the tourism increases the prospects of the hospitality sector too. 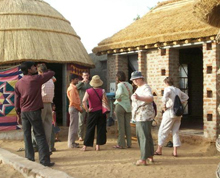 To increase the tourism revenue, the Government of Rajasthan has brought down the luxury tax from 10 to 8 percent.